Ask not what your ALTA can do for you, but what YOU can do for The ALTA Foundation. Yes, I paraphrased a great quote by a great leader. Just as it was President Kennedy’s intention to inspire and motivate, I want you to get excited and motivated to help our foundation by understanding how great a mission The ALTA Foundation has. The ALTA Foundation has existed since 1986 as the philanthropic component of the Atlanta Lawn Tennis Association. The foundation’s mission is to improve Atlanta communities through tennis by providing grants to organizations that have the same goal. In short, tennis for everyone! We have been steady and strong, but now we want more. We want every ALTA member to get involved. We want to help more organizations and more individuals. The foundation wants to imitate ALTA, which is the largest local recreational tennis league in the world that organizes league play for more than 60,000 members of all ages. 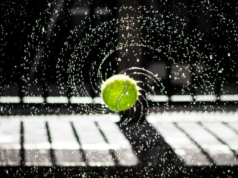 We want to be the largest foundation that supports tennis for everyone! We can only swing this with your help. We hope you will consider a donation to help us continue to support the programs you can read about here and any other deserving programs we learn about. Together we can make a difference in our community. This organization offers many programs throughout the year, including a big one on Friday nights at Washington Park. 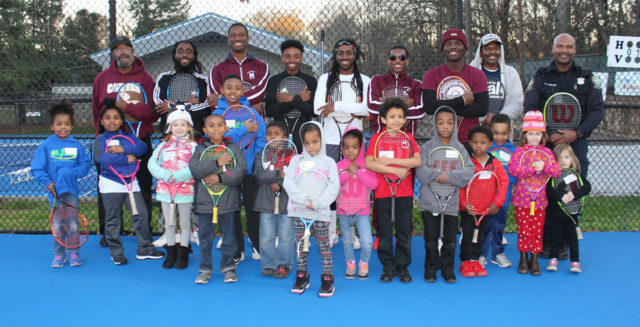 Serve and Connect is an acclaimed program that lets kids and members of the great Atlanta Police Department interact by playing tennis and learning values together followed by a fun, healthy dinner together. This great combination allows the participants to see police in a new, helpful light. Dunwoody Country Club hosts a Special Olympics Day for 100 Special Olympians from the six Atlanta metropolitan counties. 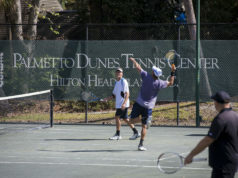 The athletes receive instruction from tennis pros and assistance from club members. Not only do the athletes have a fun day of tennis, they also receive lunch, shirts, prizes and their own racquet. The ALTA Foundation is the tennis title sponsor for the state’s summer games. Special Olympics Georgia allows more than 200 local athletes to compete, regardless of their abilities. The event also builds confidence, encourages physical fitness and develops social relationships. We’re a proud sponsor of this successful event, not only because it has been awarded national sanctioning status from USTA, but also because it is the largest wheelchair tournament in the nation. What an opportunity for Atlanta and these special athletes! This ever-growing program offers many after-school opportunities. 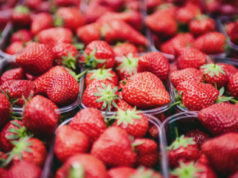 Events include the Kids-Luv-Tennis program, free match play days, Battle of the Schools Tennis Challenge, Stanley’s Stars and summer camp scholarships. Sandy Springs Tennis Center is dedicated to bringing the benefits of tennis and other opportunities with a focus on the underserved. We hope having a tournament like this in Atlanta inspires more girls in our communities to start and continue playing tennis at a competitive level. We hope to bring together the future stars and to encourage others in Atlanta to get involved. GTF supports nearly every summer tennis camp in YMCAs, parks and community centers across the Atlanta metro area. A large portion of the funding we supply goes to sustain and expand GTF’s signature program, The Joe Dorn First Serve Program. The initiative of this program is to introduce tennis to at-risk children and disadvantaged youth. The mission of this organization is to host a competitive, adaptive match play tennis tournament for children and adults with intellectual disabilities in a safe and nurturing environment. Special Pops goes far beyond by focusing not just on tennis, but on fitness through an active lifestyle, nutrition and good sportsmanship by respecting others. Thanks to a generous endowment from the estate of L. Keith Wood, a former ALTA president and chairman of the board, The ALTA Foundation is able to award college scholarships to high school seniors entering college. Wood had a passion for tennis and wanted to encourage youth players to give it a try. Any eligible Junior ALTA member is welcome to apply. The ALTA Foundation is now accepting applications for L. Keith Wood Scholarships. There are 10 $2,000 scholarships available for high school seniors headed to college next fall. Applicants must have been members of ALTA at least one year and played on a Junior Leagues team or participated on the Junior Challenge Ladder. Eligible seniors can download the application at altatennis.org. The meeting will begin at 7 p.m. Nov. 15 at the Metropolitan Club, 5895 Windward Parkway, in Alpharetta. It is open to all members in good standing. Please RSVP to 770.399.5788 if you plan to attend.